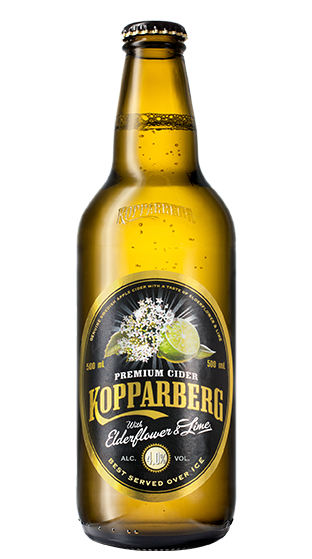 Tasting Note: Kopparberg Elderflower and Lime is beautifully balanced with the apple. While the cider is sweet as the style commands, the finish remains clean and refreshing. There is some residual sweetness and light lingering apple notes contrasting with the citrus and lime carrying through the palate to balance, the sweetness with a natural acid.